I received a question from a reader the other day in regards to whether small business insurance is necessary for a business even if one is protected by limited liability via an LLC or corporation. Specifically, he wanted to know whether it was worth paying for insurance for a pass through entity like an LLC or S Corp which carries no profits within the business. Whenever someone asks me this question, I always say yes no matter the nature of the business but it largely depends on your risk tolerance. Especially if you are running a business in the United States, the chances of getting sued are higher than you think and it really doesn’t take much for someone to take you to court. There’s also a common misconception when it comes to limited liability with an LLC or corporation that most people may not be aware of. For one thing, limited liability doesn’t apply in the following circumstances. You have acted in a negligent or irresponsible manner. Let’s say that you don’t fall into any of the categories above and you run your LLC or corporation by the book. What do you stand to lose? With a pass through entity, you might not think that you have much at stake but think about it this way. If you lose a lawsuit, your entire business is at risk. The plaintiff can take away your website, your business and all of your business assets. Even worse, you will lose a piece of your mental health. After all, you worked hard to get your business up and running and insurance will help prevent it from being taken away from you. What Else Isn’t Covered With An LLC Or Corporation? The other thing that is often overlooked is the major hassle involved if you do in fact get sued. If you don’t have insurance, you have to go through the trouble of responding to the complaint, possibly hiring a lawyer and handling everything yourself. If you have business insurance however, you just let your insurance company know about the complaint and they will take it from there. Often times, they have lawyers in house that will respond and handle the paperwork for you similar to how a car insurance policy works. Having this peace of mind is absolutely worth it. In general, business liability insurance protects your small business in the event of a lawsuit for personal injury and/or property damages. It will cover the damages from the lawsuit in addition to any legal costs involved. What Are The Different Types Of Small Business Insurance? Product Liability Insurance: This is the category that our wedding linens business falls into. If you sell or manufacture products, product liability insurance will protect you in the event that a customer becomes injured while using your stuff. For our wedding linens business, you might think that it would be difficult for someone to get injured using our napkins or handkerchiefs. But for example, someone could sue us if they weren’t happy with the quality of our product which in turn might have ruined their wedding and caused them mental anguish. It’s ridiculous I know, but it could happen. The amount of coverage and the level of risk depends on your business type. For us, we don’t have to pay as much for insurance because our business is considered fairly safe. General Liability Insurance: General liability insurance is the main coverage that protects your business from injury claims, property damage, and advertising claims. As the name implies, this is an all encompassing policy for your business and might be the only thing you need depending on what your business sells. Professional Liability Insurance: If you provide business services of any kind, you should probably get professional liability insurance. This coverage protects your business against malpractice, errors, negligence and omissions. Depending on what you do, you might be legally obligated to purchase this insurance. For example, all doctors are required to carry malpractice insurance. There is more at stake than you think when you don’t purchase insurance. If anything, you should consider your mental health. Are you willing to risk losing all the hard work you put into your business? Are you willing to deal with all of the hassle involved if you do in fact get sued? Think of your LLC or corporation as bankruptcy insurance. Sure, you can’t lose it all but you sure can lose enough for it to be extremely painful. Check with your local insurance company to see if the costs are worth it. Personally, we use CorpNet.com whenever we have questions of this nature. And what’s cool is that they’ll give you a free consult regarding your specific situation. Click here to give them a try and mention coupon code: MWQHJ for 10% off! Also, if you have any other questions, feel free to send me an email and I’d be happy to provide you with my opinion. It’s a complicated world, isn’t it? It is definitely worth it to look into insurance and do a quick analysis to see if it is worth the cost for you. If you keep your business on the up and up and it is thinly capitalized (you don’t have tons of money or other assets in it, only your own effort) then the value of being insured is much less than a company that has a ton of money invested into it. You bring up a good point about piercing the corporate veil. Most people think an LLC will protect them from but its not that simple. I’m going to pass this on. Product liability insurance is very important. Although it is an investment, it is a smart investment. I started a manufacturing business about three years ago. It is still relatively small, but I use product liability insurance for products I manufacture. Thanks for this info! This has been a great help for me. This article is wonderful. I’m surprised by how many people are out there that don’t realize you need to do more than just set up an LLC to protect yourself; you need to keep EVERYTHING separate. Insurance is often where people make their biggest mistakes, which as we all know, can be insanely costly when the business realizes that the insurance they’ve been paying so much on for years won’t protect them anyway! Professional Indemnity Insurance is always good to have especially if your work is a sensitive one and you are dealing with other people’s money such as bank, forex, ect. I want to start up a house cleaning service. what insurance do I need? 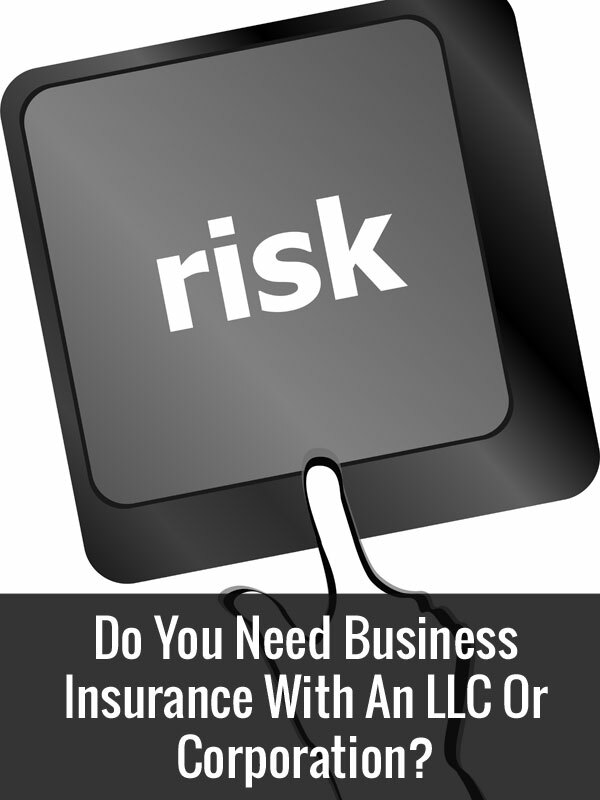 It’s essential that you find the right LLC insurance to protect your business against coverage gaps. A Trusted Choice member agent can help you find LLC insurance coverage that meets your needs. General liability insurance is the main coverage in most contractors’ insurance packages. You make a great point about getting liability coverage if you provide any kind of service as a business. You could be in trouble if you are accused of malpractice and you don’t have any coverage to save you. I’ll have to keep these business tips in mind so I can stay protected in the future.